Type the word ATM on your search browser and you will most likely have a map showing the location of all available ATMs near you even before you find the definition of ATM. This right here is the biggest testament of how ATMs have made our lives better, convenience at our fingertips. 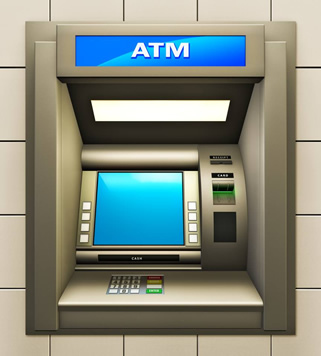 The Automatic Teller Machine (United States) or Automated Teller Machine (ATM) is a unique electronic device, just like your smartphone. It enables customers of financial institutions/banks to perform financial transactions like cash withdrawals, cash transfers, deposits or obtaining account information, all this without the need of the bank staff. All you need is a debit or a credit card. 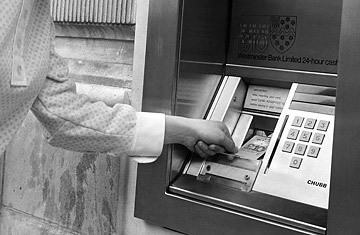 The first ATM appeared in London in 1967 and in barely over half a century, they are littered on corners of a building, along busy streets and even in remote villages and islands like Kiribati, a nation in Central Pacific Ocean. ATMs have made our lives better by bringing convenience to us, saving us time and are secured by PINs (Personal Identification Numbers) keeping our money safe. You no longer have to queue in the banks to have that quick cash you needed to go shopping on your way home. Vice versa, even those making deposits into accounts no longer need to queue. A lot of time that would have been wasted is now put to better use. Though mobile and online banking may be a great competitor in offering convenience to the way users access their money, there just times when we require hard cash urgently and the ATM is by far the easiest place to access that. ATMs have made a strong case for themselves as now we even have ATMs for bitcoin and other cryptocurrencies coming up. This just goes to show how much we rely on these ATMs. Does Using Cash Have Benefits Over Credit Cards? For several decades now the financial institutions have bombarded society with propaganda promoting the idea that our country is built on credit and that it is more important than cash. But is this really true? There may be some situations where the use of a credit card over cash is appropriate but with a society that is drowning in debt and paying a high price for the use of their credit cards there are many more situations where cash is superior to the use of a credit card. Often when we start using credit cards instead of cash we do so while telling ourselves that we’re going to earn points or that carrying the credit card is more convenient than carrying cash and so we think that we’re doing a good thing. The plan is to pay off the entire amount of charges on the next payment. Unfortunately, we often fall into the trap of spending more than we otherwise would have simply because we didn’t have to worry about how much cash we had on hand. We often tell ourselves that we are accumulating more points so we buy something that we might not have or more than we otherwise would have. When we use cash, it forces us to pay attention to how much we’re actually spending. If we don’t have enough money in our wallet and it forces us to go to an ATM machine to put in our card and enter the amount that we want to take out, it reinforces how much we’re actually using. It also helps us to pay attention to how much we are spending and how much we have left. Many businesses buy atm machines to provide their customers with easy access to cash. When you use the ATM to get some cash it will give you a receipt that not only shows how much you took out but also how much you have remaining in your account. At first, it may feel inconvenient when you’ve been used to simply carrying your card and using it for every purchase. But pretty quickly, using cash becomes an easy and fast way to pay for the majority of the things that you need on a regular basis. Once you’re used to doing it you will find it just as easy as any other way and it will make you more accountable. Almost everyone who begins using cash, reports back that they find that they are spending far less than they did when using their credit card. Copyright © 2019 Euro Finances. Powered by WordPress. Theme: Accelerate by ThemeGrill.